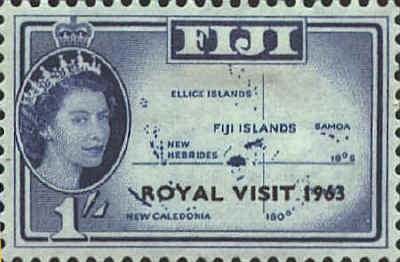 For just under 100 years, from 1874 to 1970, when it became independent, Fiji was a British colony. 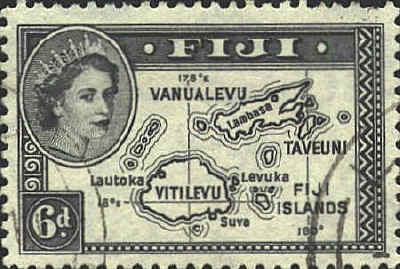 The stamp (SCN 120) issued in 1938 did not have the latitude, 180°. 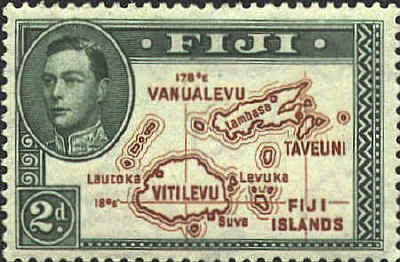 In 1940 a corrected stamp was issued. 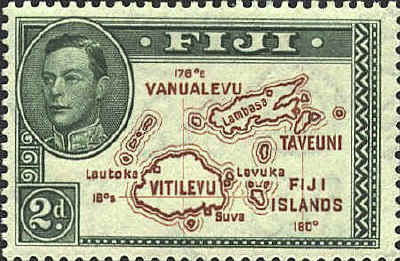 The stamp was issued in memory of the 150th anniversary of Admiral Bligh. The design shows Bligh being chased by islanders.